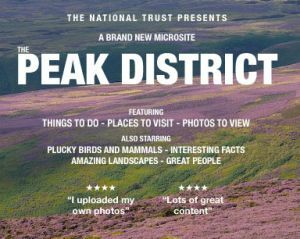 The Peak District, often called the Derbyshire Peaks, is a huge area in central and northern England, lying mainly in northern Derbyshire, but also covering parts of Cheshire, Greater Manchester, Staffordshire, and South and West Yorkshire. Most of the region falls within the Peak District National Park, whose designation in 1951 made it the first national park in the British Isles. With the M1 on one side and the M6 the other it is very accessible from all parts of the country and with an estimated 22m visitors per year it is thought to be the second most-visited national park in the world (after the Mount Fuji National Park in Japan). Your editor drove up from London, two hours, and based himself at Makeney Hall Hotel, part of the Folio Hotels Group, and a former Victorian country mansion. Situated just a few hundred yards off the old A6 is it eight miles north of Derby and two miles from the flourishing market town of Belper. From Makeney the A6 winds it narrow way, with picturesque countryside on both sides, and stone walls, through the small towns Matlock Bath, Matlock, Bakewell (known for its tarts) and eventually Buxton (famous for its water), considered the capital of these parts. AERBT took advantage of the Smartbox gift package (as advertised on the home page). It included a (very) welcoming drink, deluxe room, dinner, bed and breakfast. Our overnight, two day visit consisted of visiting three stately homes, all very grand in their own way and each from a different period of British history. Haddon Hall, Chatsworth and Hardwick. Hardwick is named after Bess of Hardwick, said to be the second richest women in England during Elizabeth I’s reign, outliving four husbands, and the potency of a line that is still with us, that of the Dukes of Devonshire. Haddon Hall is very easily accessible just south of Bakewell actually on the A6 with the car park across the main road. Just like Chatsworth it has been with the same family for hundreds of years. Again like Chatsworth numerous films and TV series have been produced within its confines, the latest being Pride and Prejudice, Jane Eyre and The Other Boleyn Girl. Haddon Hall is not a castle but a fortified manor house and a home. What you see today is much attributed to the 9th Duke of Rutland who during the 1920s restored the house and gardens. It is classic Tudor although parts are even older. The banqueting hall (with minstrels' gallery), kitchens and parlour date from 1370 and the St Nicholas Chapel was completed in 1427. Most impressive is the panelled Long Gallery, light and airy and facing south. It is 110ft by 17ft. The gardens are terraced and include a 20th century fountain and pool. The current resident custodians are Lord and Lady Edward Manners whose brother is the 11th Duke of Rutland and lives in Belvoir Castle, also in the Peak District. With 50,000 visitors a year it is never that busy but offers a quiet and low key understanding of how the gentry lived 500 years ago. About three hours will easily cover including a visit to the timbered restaurant, high up in the old stable block overlooking the fast flowing River Wye. Chatsworth is one of the great houses of England, dates from the 1550s, and is the ancestral home of the Dukes of Devonshire. It lies just a few miles off the A6 south of Bakewell and we would suggest at least half a day to explore the house and the magnificent and extensive grounds. It was Bess of Hardwick who instigated the house as we know it today persuading her then husband Sir William Cavendish (number two) to buy the estate in 1549. A resident of the newly completed property was Mary Queen of Scots, although she met her end at Fotheringhay Castle, Northamptonshire. One hundred years later William Cavendish, who was raised to be the first Duke of Devonshire, re-built the property completely including many of the state rooms. The fourth Duke, another William commissioned Lancelot ‘Capability’ Brown, one of the greatest English landscape gardeners, to create the magnificent park. In the 19th century the 6th ‘Bachelor’ Duke employed the young Joseph Paxton as head gardener. Paxton went on to create the Crystal Palace and any number of iron structured buildings. This particular William was a great collector and many of the unique pieces seen around the property are the results of forays into Europe or ‘blind’ bids made at auctions. Some of the rooms cannot be bettered in their opulence anywhere in Europe, including Versailles and St Petersburg. In 1981 the charitable Chatsworth House Trust was set up by the 11th Duke to ensure the long term survival of the house and collection for the benefit of all. Since 1949 the entrance money paid by more than 20m visitors has made a vital contribution to the maintainace of the house, garden and park. The Duke of Devonshire and his family pay rent to live in part of the house and manage Chatsworth with the support of the Trust’s Council of Management. Today a master plan is currently underway the results of which will be completely seen in 2010 when the final part of the scaffolding covering some of the buildings is due to be cleared away. Hardwick Hall is one of the most significant Elizabethan country houses in England and the ancestral home of Bess of that name. Situated very close to J29 of the M1 and since 1959 it has been owned by the National Trust. The property was a secondary residence of the Dukes of Devonshire, whose main country house was at nearby Chatsworth. It has altered little over the years and indeed, from the early 19th century the antique atmosphere has been consciously preserved. Bess was born at Hardwick. Clearly, besides husbands and the 12 children she bore overseeing building work must have taken up much of her time. Old Hardwick Hall, the ruins of which are opposite and is included in the admission fee was never completed. Hardwick is a proper country house not fortified in any way and is essentially pure Elizabethan. It was one of the first English manors where the great hall was built on an axis through the centre of the house rather than at right angles to the entrance. Bess for the most part remained on good terms with her Queen and was forever inviting her to Hardwick. She never came for one reason or another but what you see today are rooms designed to welcome the Monarch. What is surprising is that the state rooms are on the second floor, which includes one of the largest long galleries in any English house and a little-altered, tapestry-hung great chamber with a spectacular plaster frieze of hunting scenes. The windows are exceptionally large and numerous for the 16th century and were a powerful statement of wealth at a time when glass was a luxury. There is a large amount of fine tapestry and furniture from the 16th and 17th centuries. You can visit the three venues easily with an overnighter and perhaps a stop at one of the small market towns on the A6. We even managed to visit an old mill converted into a factory outlet, the 17th century industrial plant retained and changed into a museum.